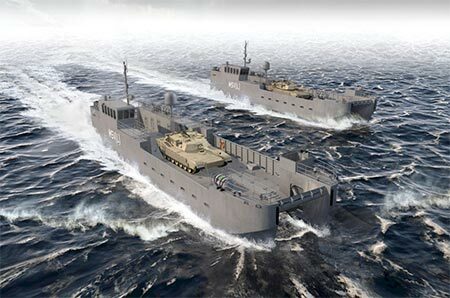 Vigor gives Vancouver boatload of work building Army's new landing craft. When it comes to building a new generation of landing craft for the U.S. Army, Vancouver is the big winner. Over the next 10 years, Vigor will be the prime contractor on the nearly $1 billion contract for the Maneuver Support Vessel (Light), or MSV/L. Vigor will consolidate the work at its new Vancouver site, closing its facility in Seattle’s Ballard neighborhood. The work will be performed at the Columbia Business Park along Vancouver’s waterfront. It’s the former site of Christensen Yachts. About 200 workers will be hired initially and another 200 when the site is fully operational. Vigor plans to invest millions in the new site. The city has a rich history of shipbuilding, dating back to the turn of the 20th century. During World War II, the old Kaiser shipyard in Vancouver built tank landing craft and Liberty ships for the war effort. Read all about it in The Columbian.